The Spartacist Uprising was a short lived attempt by the Left-Wing Spatacist group to wrestle control of Berlin. Beginning with a General Strike it soon became an armed revolt. The Spartacists, led by Liebnecht and Luxemburg managed to force the Government into negotiations. 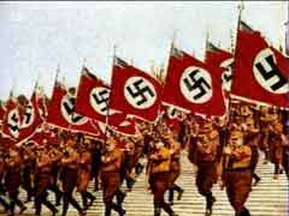 However these failed and support for the Spartacists was not forthcoming from other revolutionary groups. 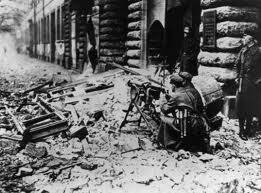 The Spartacist revolt was responsible for the moving of Government to the safer town of Weimar. Why was there a Spartcist revolt? Rosa Luxemburg and Karl Liebknecht had observed and welcomed the events of the Bolshevik Revolution in Russia. The circumstances, they felt, were similar in Berlin. The Tsar’s abdication left a power vacuum. The war had cost Germany many lives and left towns and cities desperately short of food. 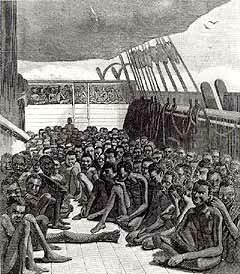 These added to workers discontent made it likely that people would support an uprising. The Spartacists discovered that they were wrong to make this assumption. While they did get some support, the majority were ambivolent or opposed to them. Former soldiers, one of their target areas for support, largely fought against them. These soldiers joined the Freikorps, a right wing group who themselves would go on to oppose the democratic Weimar Republic. 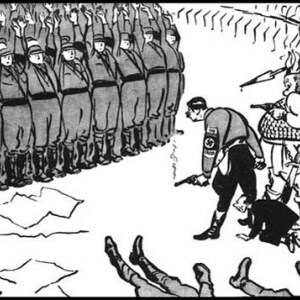 Teaching the Spartacist Uprising – recommended resources and ideas for lessons on the Spartacist Uprising, hosted on our sister site. The Spartacist Uprising – narrative and resources.